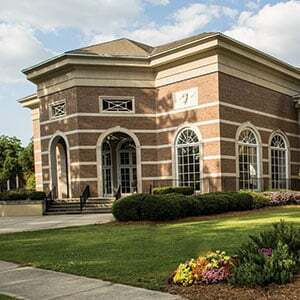 Coker College announced today it will begin operating as Coker University on July 1, 2019, giving the institution a name that adequately reflects its growth as a graduate degree-granting institution, an innovator in online learning, and a viable higher education option for international students. University status is a reflection of the tremendous growth Coker has experienced in recent years, including the addition of five graduate programs and four online bachelor’s degrees. Coker regularly recruits international students, many of whom come from areas where the term “college” is used most frequently to describe a high school education. By becoming Coker University, the value of a Coker degree will be more clearly indicated to both international and domestic audiences, and the breadth of opportunities available to Coker students will be implied in the institution’s name. Despite all of the change Coker has experienced in its 111 years, including becoming co-ed in 1969, its mission has, and always will, remain the same. The wellbeing and success of our students remains our top priority, and the crux of a Coker education still centers around personalized, discussion-based learning and the values of the institution’s student covenant: integrity, respect, scholarship, sustainability, service, and contribution. For more information about Coker’s transition to Coker University, please visit coker.edu. Coker College is a student-focused, comprehensive college with a strong liberal arts core located in Hartsville, South Carolina. Coker combines round table, discussion-based learning with hands-on experiences to encourage active participation in and out of the classroom. A supportive, close-knit community prepares Coker students with the confidence and practical life skills they need to reach their personal best, in college and beyond. Founded in 1908, Coker is a bachelor’s and master’s degree-granting institution and competes in 24 NCAA Division II sports. Coker is included among the "Best Colleges" in the South by U.S. News & World Report as well as The Princeton Review, and by Washington Monthly as a “Best Bang for Your Buck” college in the southeast.